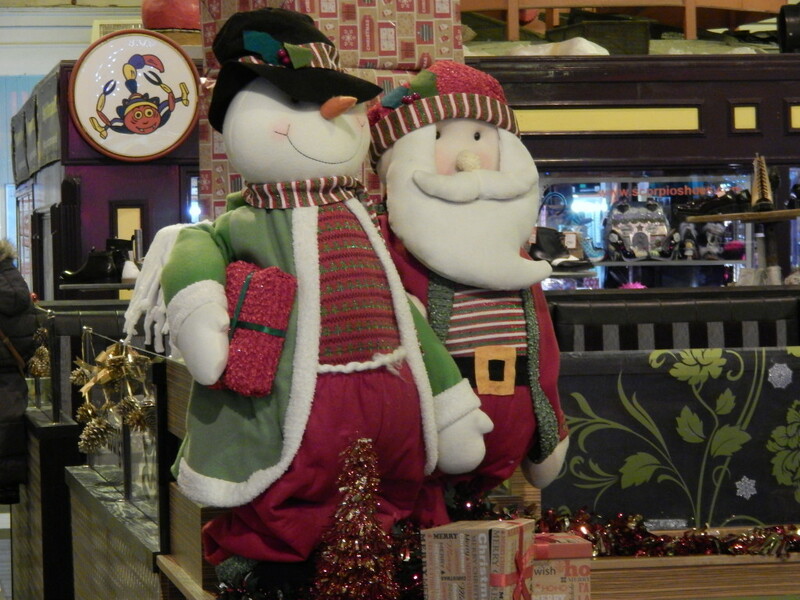 I try really hard not to get too excited by Christmas until December has at least started. This year I dove right in with the festivities as soon as the first of December arrived. Why? Because Grainger Market in Newcastle was having their Christmas night market and I was lucky enough to be invited along. Grainger Market is probably one of the most underrated places in Newcastle. It’s only been the last year or so that I’ve made the effort to make it one of my regular haunts whenever I’m in the city and that was because it’s home to some of the best Chinese dumplings that I have had in a long time. I know they’re not the purpose of this post but next time you are in Newcastle, pop into the market and try them – you’ll see what I mean about how good they are. Despite now visiting more frequently, there is still plenty of Grainger Market that is undiscovered for me. 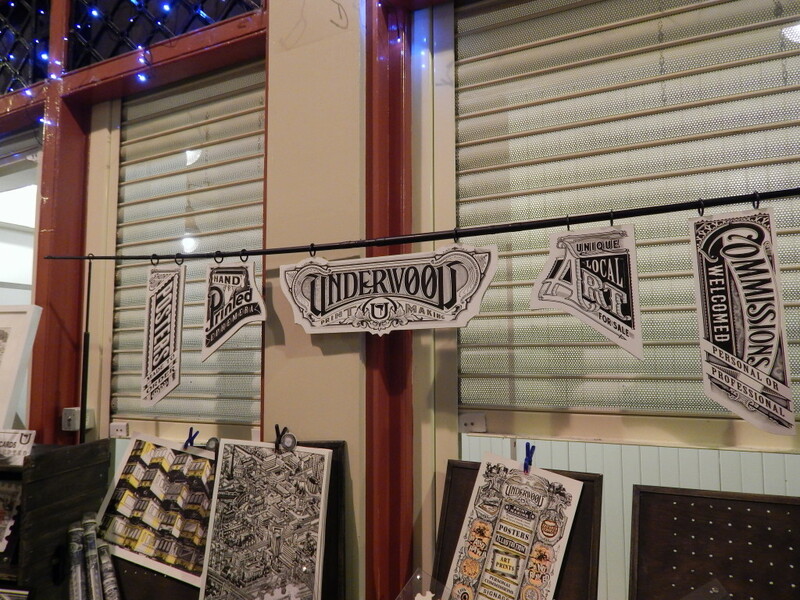 When I was there for the night market, I was blown away by the variety, and quality, of vendors that could be found inside. 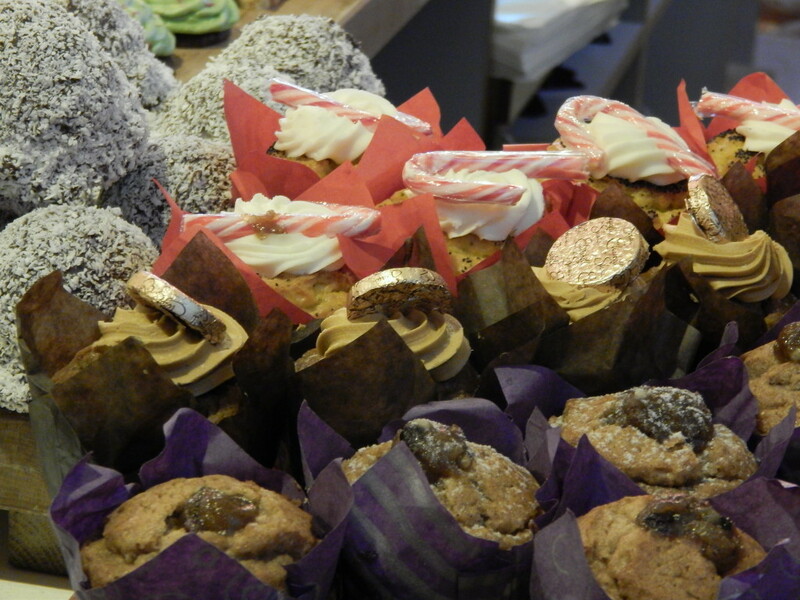 From pizza to cake to local artwork, Grainger Market is jam packed with high quality produce. We spent quite a lot of time sampling the food and drink on offer (with very positive results) but we also managed to pick up a gift or two while we were there. 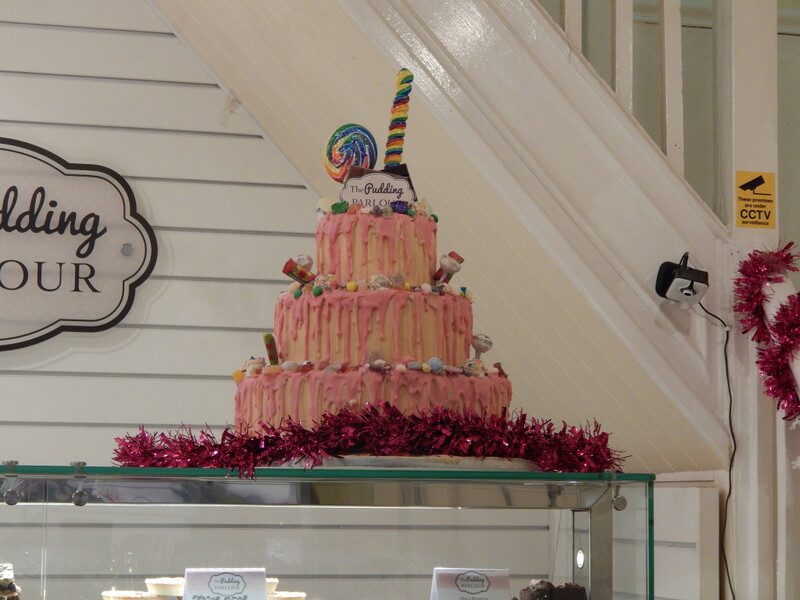 There was so much there that I loved that I will definitely be calling in next time I have a birthday to buy for! I’ve been fairly organised and already have most of my Christmas presents this year or else I’m sure I could have picked up plenty for that too! 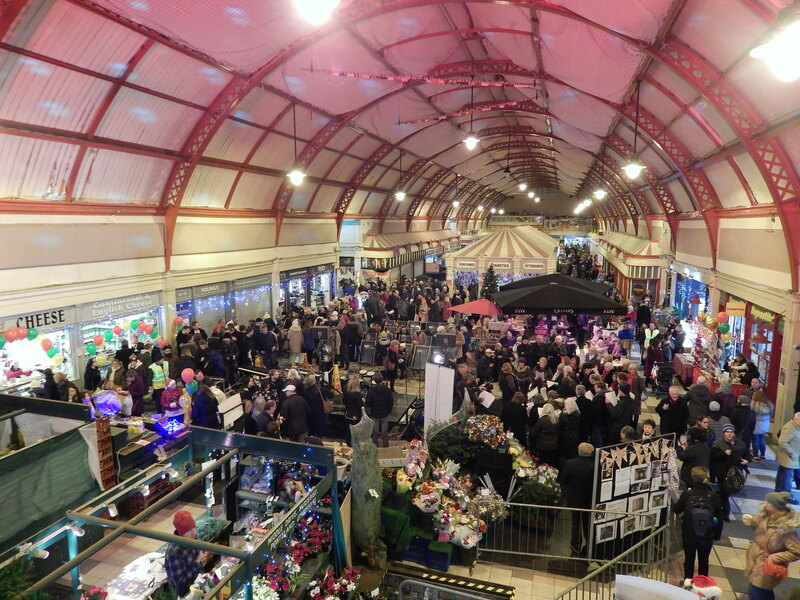 Beyond the great shopping experience, two things really stuck out to me when I visited Grainger Market the other night: the community and the history of the place. We actually managed to catch some of a historical tour before we had to dash off and what we heard sounded fascinating. I’m sure if we had managed to stay for all of the tour, I would have been even more amazed at the things Grainger Market has seen since its genesis in the Victorian era. There was even an air raid shelter there! There were some tours available of it on the night but unfortunately for us they were so popular that they were already fully booked when we got there. I really hope that someday I get a chance to see it for myself. 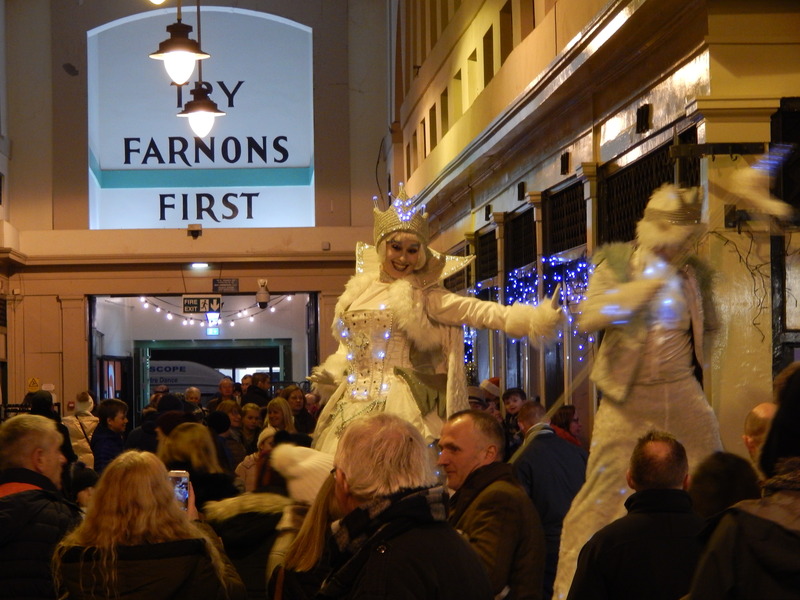 Grainger Market really came together to put on a phenomenal night on the 1st December. There was music, live performances and even face painting. Everywhere you turned there was a friendly face waiting to help you out. The evening was a resounding success! If you missed the Christmas Night Market, don’t worry. 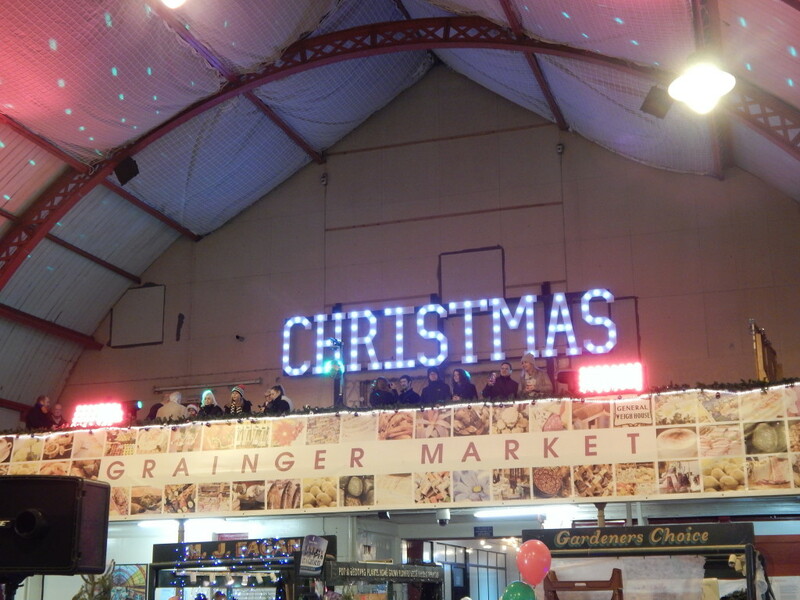 Grainger Market have special festive hours and are even open on Sundays on the 10th, 17th and 24th Of December between 11am and 4pm. For more information, check out their Facebook page here. They are well worth a visit if you ever get the chance!